The Achilles Shield Sport is designed to protect the back, Achilles tendon area of your heel from the abrasive rear edge of stiff footwear, especially while breaking them in. The Achilles Shield Sport is the more athletic vertical insole. 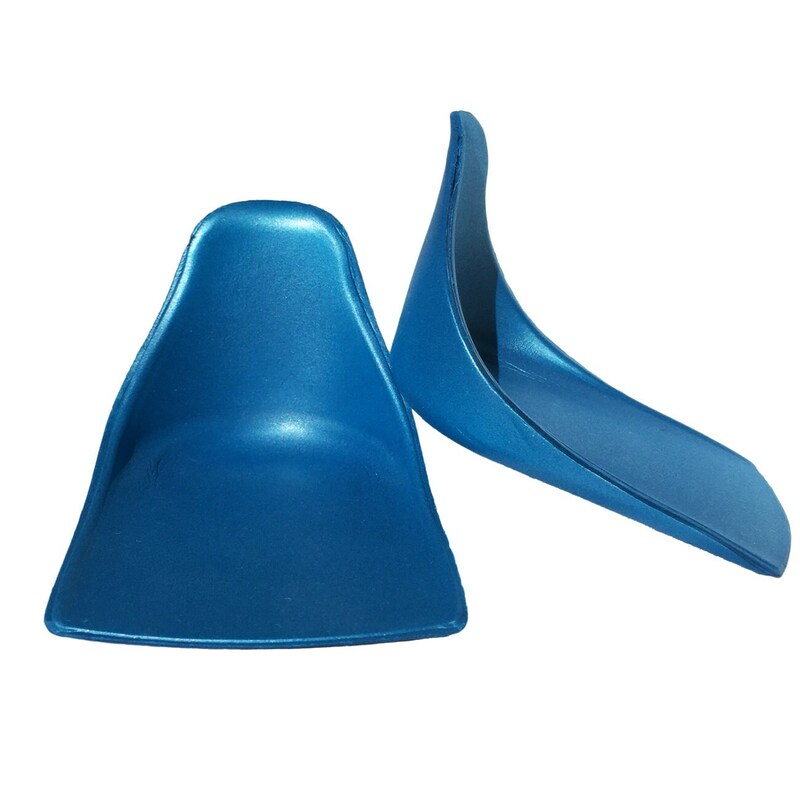 It has greater shock absorption, compression recovery, and its surface has better non-slip properties. This keeps it in place at the back of your shoe during high-energy activities. The Achilles Shield Sport is perfect for breaking-in new cleats, climbing, and cycling shoes that are painfully stiff out the box, or continuous use in athletic shoes and hiking boots for the added comfort. What goes into creating these insoles? The process of designing one of our products is a remarkably artistic and scientific one. It brings together many disciplines: starting with the hand-drawn artwork, clay shaping to capture the biomechanical organic curvature, woodworking, hand-poured molds, 3D CAD modeling, 3D printing, material testing and tweaking... A lot of time and care goes into our insoles. I only wish they were much larger and much thicker.